Click here to download Episode 10 on iTunes. Don't forget to subscribe! Episode 10 of Nathan OUTloud features my interview with activist and founder of jaysays.com – Jay Morris. I also feature a song by recording artist Marc Pedraza titled, “No More, No Less”. 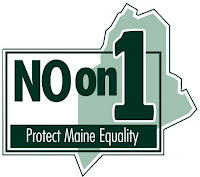 The “Take Action” items I discuss at the end of the show cover the latest on the campaigns in Maine and Washington, as well as details around the National Equality March in DC. 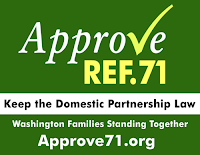 Founder, activist and dreamer, Jay Morris, began jaysays.com as a small personal project to stay in touch with family and friends. 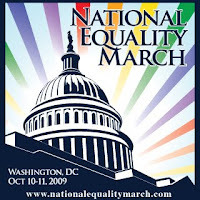 Over time, the site developed into what you see today with a focus on LGBT issues and current events. 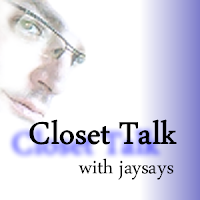 Jay is also the voice behind the Blog Talk Radio program Closet Talk, a weekly show discussing issues surrounding the LGBT community, coming out of and staying in the closet which can be found at: blogtalkradio.com/jaysays. Marc has performed at events such as Phoenix Pride, San Diego LGBT Pride, Palm Springs Pride, Humboldt Pride, GLSEN Phoenix "A=Art" Auction 2008, Arizona State University's Day of Silence, Glendale's Food Not Bombs' March For Social Change, The Season For Nonviolence Concert to benefit the Arizona Department of Peace and The People's Army Benefit Show for the No Borders Camp.